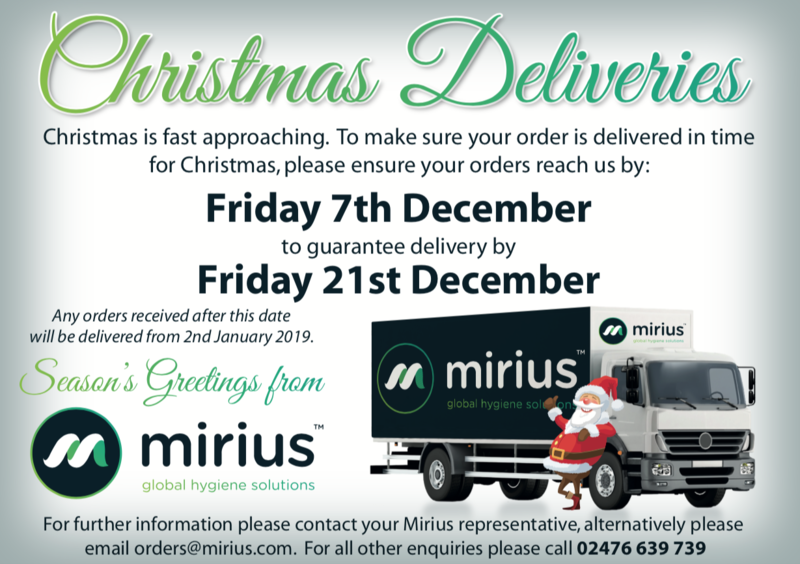 Christmas is fast approaching so please be aware of our Christmas 2018 and New Year 2019 delivery dates. We will be working throughout the Christmas period but to ensure continuity of supply we strongly recommend placing orders early. Orders placed by Friday 7th of December 2018 will be delivered before 21st of December. Orders placed after this date will be delivered from 2nd of January 2019. Should you have any questions regarding the Christmas and New Year period please contact us.